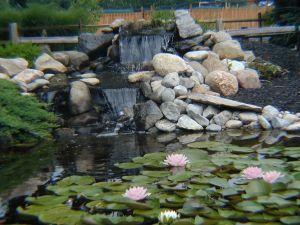 Green Vista has many beautiful display ponds at their retail location. 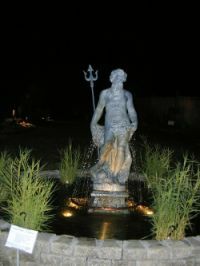 Above is a photo of one of the water gardens taken during the Monet by Moonlight event. 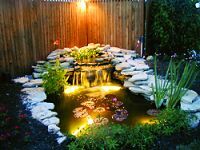 The display pond below features an eye catching waterfall and some lovely water lilies. 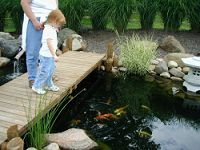 Ohio’s Pond Superstore! Open Year Round. 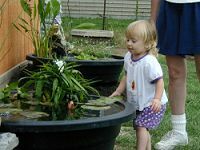 Even our youngest visitors enjoy seeing the water gardens! 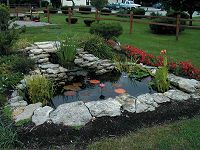 Visit us soon and enjoy all our onsite garden ponds.